To place an order with the CMP Custom Shop, please call (256) 835-8455, ext. 513, 514 or 540. Orders can also be sent by email to [email protected]. All orders will be accepted according to the time stamp they were received. 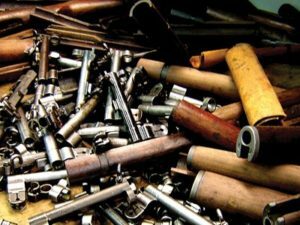 Due to the expected high volume of work, the Shop will limit the number of Return Authorizations (RA: needed to receive repair/custom rifle work) issued each week to a maximum of 15. Any additional orders received after the first 15 will be placed on a single wait list. Each subsequent week, the next 15 customers on the wait list will be assigned their RA, shipping provisions and an estimated turn around time. Walk-ins will be accepted and placed on the wait list for customer convenience, but no RA or estimated turn around will be provided until a spot in line on the wait list comes up. No rifles are to be shipped in before being issued an RA number. Any rifles submitted without proper authorization will be returned to the customer at their own expense. The CMP Custom Shop opened for business on October 1, 2013. The CMP Custom Shop provides a wide variety of repair, upgrade and custom services for a wide range of U.S. Military rifles, specifically those issued in early eras. 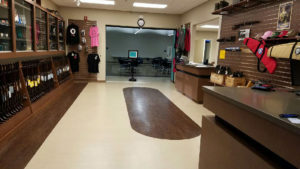 Customers should expect the CMP Custom Shop to continue the CMP traditions we are known for: customer service, quality and reasonable turnaround for most work. What type of Rifles will the CMP Custom Shop work on? The CMP Custom Shop can work on rifles that may have been purchased elsewhere as long as they were made by a USGI contractor. 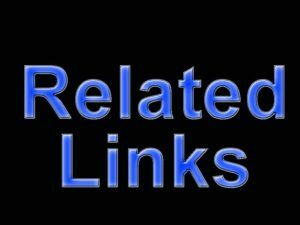 Some examples include: Springfield Armory (not Springfield Inc.), Harrington & Richardson, Winchester, International Harvester, Remington, Rock Island, Eddystone, Inland, Underwood, Rock-Ola, Quality Hardware, National Postal meter, Standard Products, IBM, Irwin-Pederson and Saginaw. There are many NON-USGI copies of the M1 Garand, 1903 Springfield and especially the M1 Carbine that CMP will be unable to work on. What services will the CMP Custom Shop provide? The CMP Custom Shop will be able to perform virtually any normal upgrading, accurizing, customizing and refinishing (not to mention regular repairs and troubleshooting) to the types of rifles that we are currently selling or have sold in the recent past. Below is a list of current services provided. If you would like a service not listed, please email [email protected] to see if they can fillful your request. What are the hours and location of the CMP Custom Shop? Take I20 East to Anniston/Oxford exit 188. At exit 188 turn left onto Golden Springs Rd. and drive about 1.5 miles to a traffic light intersection with Greenbriar Dear Rd. (a McDonalds is there on the left). Turn left onto Greenbriar Dear Rd. and drive 1 mile to the next traffic light, turn left there onto Coleman Rd.. Drive 0.3 miles to our building on the left, look for a small sign on a post “CMP Custom Shop” that identifies the correct entrance to our parking lot. Follow signs on the fence to find the Custom Shop entrance. The building has a big “1803” above the front door but the Custom Shop entrance is around the side on the left. Take I20 West to Anniston/Oxford exit 188. At exit 188 turn right onto Golden Springs Rd. and drive about 1.5 miles to a traffic light intersection with Greenbriar Dear Rd. (a McDonalds is there on the left). Turn left onto Greenbriar Dear Rd. and drive 1 mile to the next traffic light, turn left there onto Coleman Rd.. Drive 0.3 miles to our building on the left, look for a small sign on a post “CMP Custom Shop” that identifies the correct entrance to our parking lot. Follow signs on the fence to find the Custom Shop entrance. The building has a big “1803” above the front door but the Custom Shop entrance is around the side on the left. 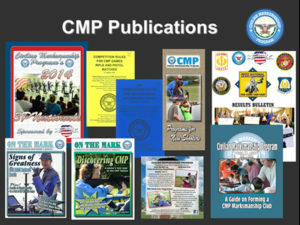 These items are generally in CMP inventory at all times. In the instance, one of the items listed is out of stock, a Custom Shop representative will contact the customer to resolve. 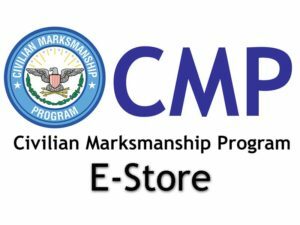 Who is eligible to use the CMP Custom Shop? Those wishing to use the CMP Custom Shop must be a customer on file in the CMP system. Customers must meet the same eligibility requirements as for rifle purchases from the CMP. How Do I Receive a Return Authorization (RA) Number? Contact the CMP Custom Shop to place an order at (256) 835-8455 ext. 513, 514 or 540. Orders can also be sent by email to [email protected]. All orders will be accepted according to the time stamp they were received. 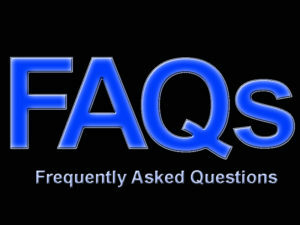 once i receive my return authorization (ra)#, How do I ship my rifle to the CMP Custom Shop? Once you receive your Return Authorization (RA)#, customers can fill out the “CMP Custom Shop Request Form” and print a copy. (FILLABLE FORM) After filling out the form completely, make sure a copy is placed in the box/case with the rifle so CMP will know who it’s from and what modifications are requested. The Return Authorization # must be located on the top of the CMP Custom Shop Request Form and on the outside of the shipping box so CMP can verify the shipment when it arrives. Finally, customers must also fill out the CMP Order Form and include completed forms in their shipment. The CMP will not conduct a NICS background check but still requires a signature on Page 2A of the CMP Order Form. IMPORTANT: If your State or locality requires you to first obtain a license, permit, or Firearms Owner ID card in order to possess or receive a rifle, you must enclose a photocopy of your license, permit, or card with the application for purchase. Customers are responsible for shipping expenses when sending items to CMP. Standard CMP shipping charges apply for the shipping of the rifle or other items back to the customer. The current rifle shipping rate is $29.95. 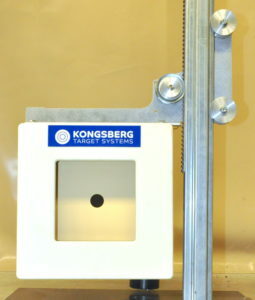 The shipping charge for barrels, receivers or parts is $9.95. If you would like a Fed Ex label sent to you, please let the CMP Customer Relations Specialist know when you receive your Return Authorization #. You will be billed $29.95 to have the shipping label mailed to you. Where do I ship my rifle once I have completed the CMP Custom Shop Request Form, CMP Order Form and received my Return Authorization #? ammunition with the rifle, spent cases are okay). What if I have a current order the CMP is processing or if I want to place a rifle order and want the CMP Custom Shop to make modifications prior to shipping the rifle? Please contact the Custom Shop at [email protected] or call (256) 835-8455, ext. 513 to discuss the current waiting time and modifications. FOR MORE INFORMATION. If you want more information about CMP Custom Shop, please contact the Custom Shop at [email protected] or call (256) 835-8455, ext. 513. See what services the CMP offers for Krag (Rifle and Carbine) Rifles through our Custom Shop. See what services the CMP offers for the 1903 Springfield Rifles through our Custom Shop. 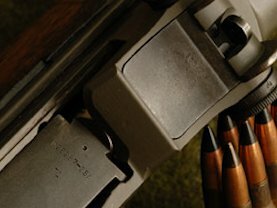 See what services the CMP offers for the 1903A3 rifle through our Custom Shop. 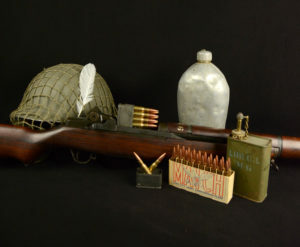 See what services the CMP offers for the 1917 Enfield Rifle through our Custom Shop. See what services the CMP offers for the M1 Carbine Rifle through our Custom Shop. 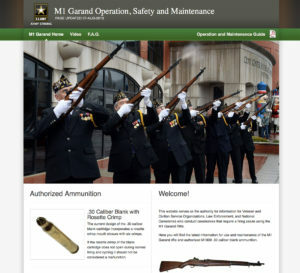 See what services the CMP offers for the M1 Garand Rifle through our Custom Shop.